When thinking of Italy, certain images always spring to mind. The iconic monuments (Rome’s Colosseum, Florence’s Duomo, and Venice’s Grand Canal), the countryside’s rolling vineyards and hilltowns, the rugged coast with its sheer cliffs and tiny, colorful fishing villages. What many tend to forget is that the entire northern border of Italy runs through the Alps and Dolomites, skirting some of the highest and most dramatic mountain peaks in Europe. Which means, of course, that if you want to ski, Italy is the perfect destination. 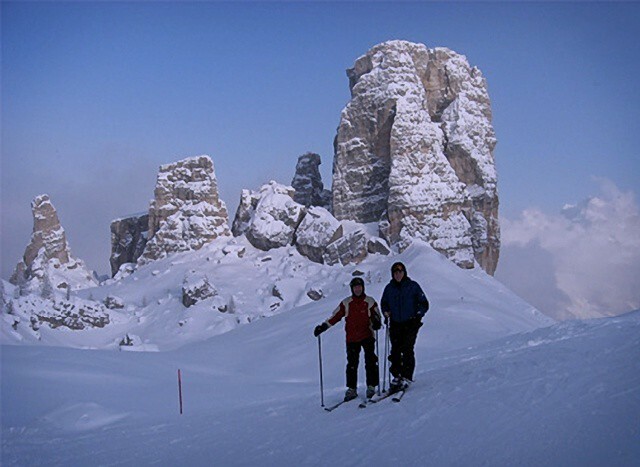 Italians love to ski (taking an annual settimana bianca, or “white week”, is as sacrosanct as the summer seaside holiday for many), and bring their unique joie de vivre to the mountain slopes. A ski holiday in Italy is about the breathtaking Alpine scenery and world-class pistes, of course, but it’s also about a leisurely pace, fantastic food, cutting a fashionable figure on the slopes, and a buzzing après ski scene. Tweetable: Skiing in Italy? World-class scenery & pistes, a leisurely pace, fantastic food, fashion, and a buzzing après ski scene. Italy has a vast array of runs for every skill level, from the most challenging Olympic black pistes to beginner hills. Italy also has among the toughest qualification requirements for ski instructors, so whether it’s your first time on skis or if you’re looking to perfect your form, you can find an excellent (often English speaking) instructor. For advanced skiers, an instructor can serve as an excellent guide to the best runs in Italy’s often sprawling Alpine networks. Resorts offer special ski schools for kids, and many also have cross-country runs, snow-shoeing trails, and ice skating rinks for those who shy away from downhill. Ski season in Italy generally runs from the beginning of December through March (or late November to mid-April in the higher-altitude resorts), depending upon the annual snowfall. 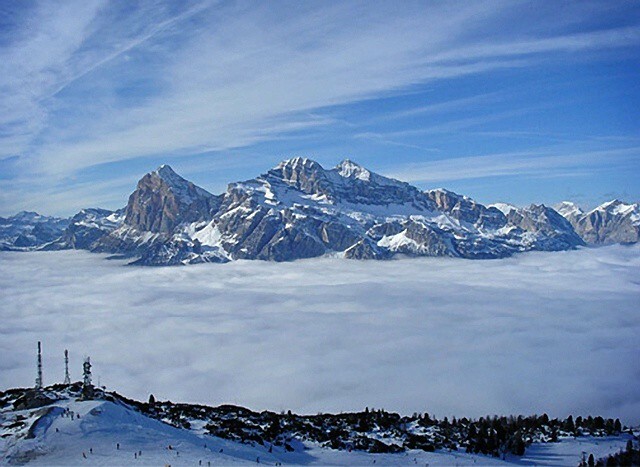 This is good news if you are looking for low-season travel bargains or want to pair your ski holiday with a trip elsewhere in Italy—Cortina (see below), for example, is just a few hours from Venice, which you will find much less crowded in the low season winter months. The highest season for Italian resorts are the winter holidays (Christmas and New Year’s weeks) and the month of February, for which times you will have to book far ahead and expect high season rates and crowds. 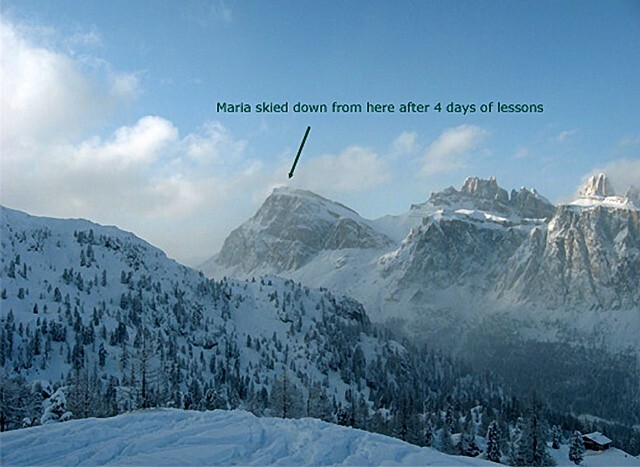 As most Italians take a week-long ski holiday, often (though not always) resort hotels only offer weekly bookings (with a Saturday or Sunday change-over day) in the highest seasons. If you are not planning to stay for a full week, it may take a few tries to find a hotel willing to book only a few nights. Last minute bookings are easier to negotiate for shorter periods, as are lower season stays. Italian resort hotels generally require full (three meals a day) or half (breakfast and dinner) boarding plans with bookings, especially in the higher seasons. Though this may seem like an unnecessary complication, boarding plans (particularly half-board, which leaves you with some freedom at lunchtime) are actually a convenient way to enjoy a hassle-free dinner at the end of a long day on the slopes. Italy is all about food, and ski resorts are no exception. Italians rank ski resorts according to two factors: the quality of the pistes and the quality of the food...so expect wonderful meals, both in the hotel restaurants and in the rifugi. Most Italians choose half-board plans with their hotel, opting to lunch at the excellent chalets during the day, many of which have been serving skiers for generations. Some chalets offer table service, while others are buffet-style; not withstanding the casual atmosphere, don’t be surprised if some of your most memorable meals in Italy end up being those dished up at the chalets. Italian ski resorts are well organized for logistical considerations like equipment rental, shuttle services, lift passes, and ski schools and instructors. We can arrange equipment rentals, lessons with the best instructors, and lift tickets but if you are traveling without a travel planner, hotel concierges or front desks are, of course, an excellent reference. Many hotels offering weekly bookings organize an “orientation” on the first evening, when representatives from the ski schools, local outfitter, and lift company will stop by the hotel for hassle-free registrations and rentals for the following week. Italy adheres to the European Union ski rules and regulations, including requiring the use of helmets for children under 14 and the strict regulation of off-piste skiing. Tweetable: Italy has among the toughest qualification for ski instructors, so you can find an excellent instructor for all skill levels. This region borders France and Switzerland and includes some of Europe’s highest Alpine peaks, including Monte Bianco (Mont Blanc). The most popular resort in Val d’Aosta (indeed, in all of Italy) is Courmayeur, a traditional Alpine village surrounded by gorgeous scenery and filled with wonderful boutiques, elegant restaurants, and a buzzing après ski scene. Another popular resort is Cervinia, near the Swiss border at the base of Monte Cervino (the Matterhorn) and a short drive to Zermatt. Though less charming than Courmayeur, Cervinia has one of the longest runs in the world (over 20 kilometers) and, because of its heavy annual snowfall and high elevation, has one of the longest ski seasons in the Alps. Piemonte hosted the 2006 winter Olympics, and is thick with world class resorts a short distance from Turin. This is the region where the Agnelli family built their FIAT empire, and even the resorts reflect their influence. One of the biggest in Piemonte is Sestriere, above the lovely Valle di Susa. The first modern ski resort in Italy, Sestriere was founded in the late 1930s under the leadership of the famously sport-loving Agnellis, reportedly so the family would have decent skiing near their hometown. Sestriere is now part of the “Milky Way”, a 400 km route which lies between Italy and France, encompassing Claviere, Sansicario, Sestriere, and Sauze d’Oulx on the Italian side, and Montgenèvre in France. The Dolomites divide Italy from Austria, and the food and culture of the resorts in Trentino-Alto Adige reflect a proud local heritage (and cuisine) which identifies more closely with their neighbors to the north than their homeland to the south. The postcard-perfect village of Madonna di Campiglio is a perfect destination for those who love their winter sports served with a heavy dose of good food, shopping, and nightlife. Popular Canazei (in the Val di Fassa), is one of the resorts in the Ladin territory—a tiny, fiercely independent, ethnic group with a separate language (Ladino) and culture. 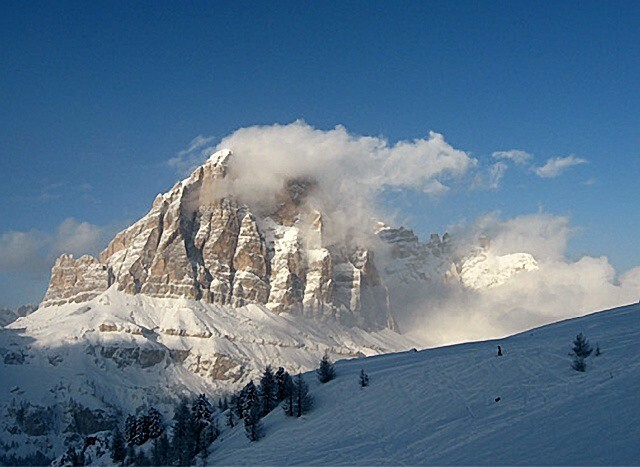 Perhaps the most famous ski resort in all of Italy, for its beauty, pistes, and A-list habitués, is Cortina d’Ampezzo. Just a few hours from Venice, Cortina is the perfect destination for those who want to combine a few days of skiing with a visit to La Serenissima...or simply for those who love Olympic-class runs paired with luxury shopping and exclusive accommodations. There are also some wonderful trails for hiking in the gorgeous surroundings and, for history buffs, a number of World War I sites to visit. We recommend the Hotel de la Poste for its traditional wood-paneled, Alpine aesthetic, or the Grand Hotel Savoia and the Cristallo for their elegance. 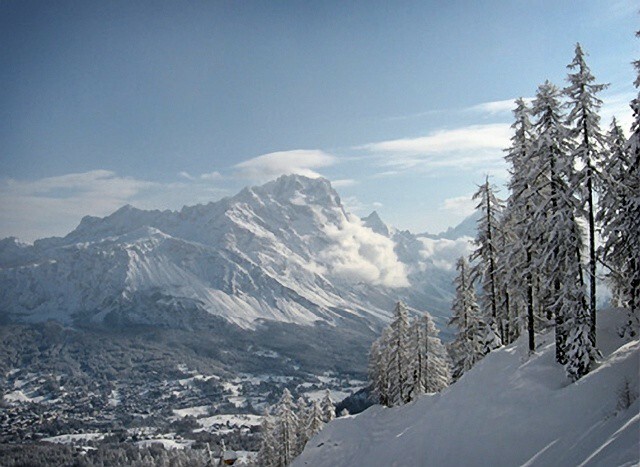 Tweetable: Italy’s Val d’Aosta, Piemonte, Trentino-Alto Adige, and Veneto all have fabulous resort areas for ski enthusiasts.